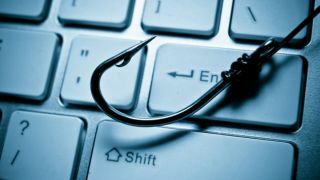 The number of phishing attacks that took place in 2018 more than doubled from the previous year, new research has revealed. The latest Spam and phishing in 2018 report from Kaspersky Lab claims that the company's anti-phishing system prevented over 482m attempts to visit fraudulent pages last year, highlighting a significant surge in their use and popularity by cybercriminals. Phishing is one of the most flexible types of 'social engineering' attack since it can be disguised in many ways and used for a number of different purposes. To create a phishing page, all one has to do is create a replica of a popular or trusted site and trick users into entering their personal information. The consequences of such an attack can range from a loss of money all the way to the compromise of an entire corporate network. Phishing attacks that use malicious links or attachments are often used as an initial infection vector for targeted attacks on organizations. The rapid growth of phishing attacks in 2018 is part of a long running trend with both 2017 and 2016 experiencing increases of 15 percent on the previous year though last year's figures mark a new peak. The financial sector was hit especially hard and over 44 percent of all phishing attacks detected by Kaspersky Lab were aimed at banks, payment systems and online shops. The country with the most users attacked by phishing is still Brazil with 28 percent of all attacked users. Portugal on the other hand moved from seventh place a year ago to second last year with 23 percent of users while Australia moved from second to third with 21 percent of those affected.